If you can�t make it to Belgium, immerse yourself in the Canadian NFB Archives at the Victory 1918: The Last 100 Days exhibition, taking place at the Canadian War Museum in Ottawa. 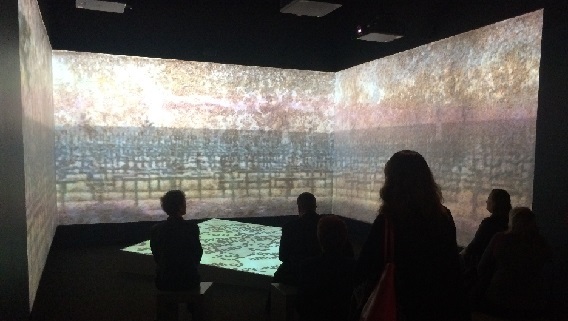 The exhibition includes three immersive experiences about three different moments in the Hundred Days Offensive, conceived and directed by Philippe Baylaucq and produced by the NFB�s RenéChénier. The Tanks of Amiens recreates one day of combat, highlighting the Mark V tank in action during the famous Battle of Amiens. Currie�s Dilemma dramatises the decision to enter one of the most perilous but strategically critical operations of the war, using rare NFB archival footage of the Canadian commander planning a battle in the company of his officers. Mons, the Last Day recreates the final moments of the war and pays homage to the man who was believed to be its last casualty. You�ll find the source footage from two of these three films online at NFB Archives.